It’s nice to have the freedom to pursue your dreams. It’s exactly what Uber is doing for me. But, that doesn’t mean there isn’t any cost to think about. Everybody has expenses from paying your rent to buying that new phone. This is no different for drivers as well. Today, I’m going to explain to you 9 possible Uber driver’s expenses you may have to pay. Not every expense will apply to every driver. It depends on the circumstances and the kind of situation you are in. Not every person can afford to own their own car, but there are many that still want to drive for Uber. The great thing is that Uber has a leasing program that helps you get behind the wheel for a minimum cost. 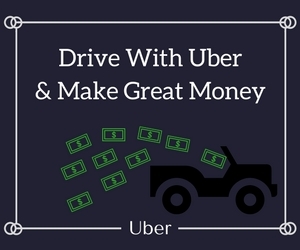 This isn’t always the recommended method of getting a car, but if Uber is your only option to make money and you need a car then this is an option. But, this is an expense that I don’t think every driver should endure. A much better option than leasing a car would be to finance one. Then at least you will have full ownership once you finished paying the car off. Just like how Uber has an option for leasing, they also have an option for getting help financing a car too. If you have tried purchasing a car before but couldn’t get approved, then using Uber’s financing program might be a great option for you. It’s supposed to be a “no credit no problem” type of support from Uber which will help the drivers that couldn’t buy a car going directly to the dealership. Even still, car payments vary but can’t be ignored when looking at the cost of operating your vehicle for Uber. Thankfully, a lot of people don’t have to use this as an option because they already own a car. This depends on where you live. For me, If I were to drive in San Francisco I would have to pay a toll to get in which ranges from $4-$6 depending on the time of day. Even if I don’t drive to San Francisco before I start this doesn’t mean somebody else wouldn’t want to head that way. If you are already Ubering with passengers in the car when you go through the toll booth you will get reimbursed in your next paycheck. But, you still have to pay the toll upfront before you get your money back that you spent. Gas, in my opinion, is the most costly expense a driver has to endure. No gas means you can’t make any money so it’s important to always fill up before you start your day of driving. My advice for you would be to figure out where the cheapest gas station is in town (As long as it’s within a reasonable distance) and fill up there. Saving pennies a day can add up to hundreds or thousands of dollars a year if you drive enough. Brakes, Tires, Oil changes, etc… Are all of the things you should consider when you decide to start driving for Uber. Before I started I went car shopping. In the end, my choices were between a Hyundai Sonata and Volkswagen Sports Sedan. I was leaning towards the sports car until I called my friend to see what his thoughts were. I wasn’t thinking about maintenance at the time, but then my friend had to remind. He said,” Think about it. You’re planning on driving for Uber. This is gonna cause a lot of wear and tear. My friend was right too. The parts were gonna cost more when it came time to replace them, and yes, the car did take premium which meant I would’ve been paying 20 cents more per gallon. It was a nicer car but was gonna become extremely costly in the end. A lot of people count this as one of their cost of being an Uber driver. I’m not saying it’s wrong, but it’s not a cost I really consider. Uber or not I would still be paying for car insurance. It is technically an expense, but it’s not really one which came directly from driving for Uber. Keep in mind, not every insurance company likes hearing about their customers wanting to drive for Uber. If you mention it to your insurance two things can happen. A.) Your rates will rise and sometimes to the extreme. There are some insurance companies that are starting to specialize in ridesharing insurance, but it’s not available everywhere. This is something that not everybody thinks of when they start driving. We’re so used to employers taking out the taxes for us we can sometimes forget if they don’t take them out we need to pay those taxes at the end. Just be sure to set some money aside for this just like how employers took money out of your paycheck. Another expense I don’t really consider because I didn’t change anything on my plan after I joined Uber, but some people do need to upgrade their data plans while other drivers need to rent a phone from Uber for $10 a week to drive. It just goes back to the kind of situation you are in and whether or not this is a true expense for you. For me, it’s not, but everybody is different. It’s important to maintain a clean appearance when you’re shuffling riders around town. Some drivers pay a monthly fee to get their car washed professionally, others will just go through the car washes at gas stations, and then you have the last amount of drivers just doing all the cleaning themselves to save money. Either way, this is a cost that you shouldn’t be avoided so that way you can get good driver ratings. Just be sure to save the receipts since you can use this as a tax deduction. It is a work expense. I’d say these are most of the expenses if not all of them that an Uber driver will have to pay for. Some I don’t really consider while others are hard to ignore. This doesn’t make driving any less fun for me Because there also benefits to driving as well, but definitely something to think about before you decide to start. Any other expenses that I missed? Do you think it’s too costly to drive for Uber? Tell me why.